Update: With apologies to anyone that bought this yesterday for $90, it has now dropped to $85, matching the deals we typically see on eBay. 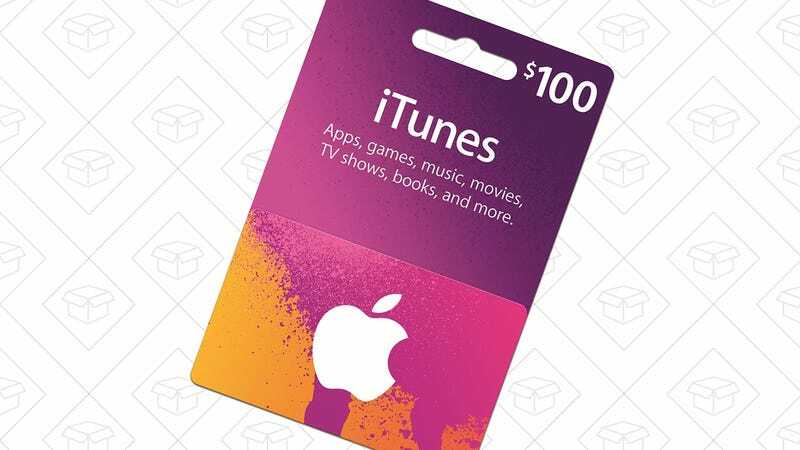 We see 15% iTunes gift card discounts on eBay from time to time, but today Amazon’s offering a 10% discount on $100 gift cards, the first iTunes credit discount they’ve ever offered, at least to my knowledge. Obviously, 10% < 15%, but if you have some iTunes gift cards you want to use, or the Amazon Prime Store Card which gets you 5% back on Amazon purchases, this could make sense. I’m going to buy this and spend every cent on iOS 11 AR games.